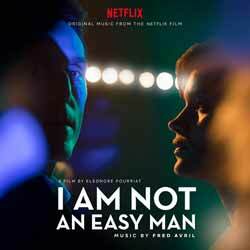 Fred Avril delivers some impressive set pieces for I Am Not an Easy Man. There's so many "moments" here that it will take quite a few listens to appreciate all the themes. For example, 'Recto Verso' is an intricate, yet simple track that passed me by on the first few listens. It's probably one of my favourite tracks on the album, but it took me a while to appreciate its beauty. The album contains 16 tracks (39 min, 05 sec) with personal highlights including 'Geisho'; 'Recto Verso'; and 'Poker'. Overall this is a subtle, and varied score which is well worth picking up.